Please "Register" for the event first as you will automatically be added to the "Community". 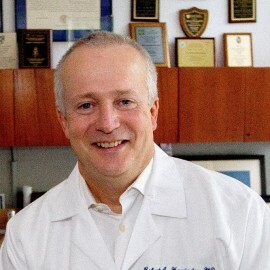 Dr. Robert A. Harrington is a cardiologist and the Arthur L. Bloomfield Professor and Chairman of the Department of Medicine (DOM) at Stanford University. His research interests include evaluating antithrombotic therapies to treat acute ischemic heart disease, building local, national and international collaborations for the efficient conduct of innovative clinical research and trying to better understand and improve upon the methodology of clinical research. Harrington is a member of the American Heart Association’s Board of Directors as well as an elected member of the Association of American Physicians, the Association of University Cardiologists and the National Academy of Medicine/Institute of Medicine.